Polar has unveiled a new version of its Loop fitness tracker aimed at women, complete with Swarovski crystals. The new fitness tracker is emblazoned with 30 stones, which are placed into the bezel around the device's LED-light display. It's essentially a blinged up version of the existing Polar Loop 2, which offers step and sleep tracking along an inactivity monitor and some smartwatch-style notifications. "We designed the Polar Loop Crystal specifically for women who are not only passionate about fashion, but also who are looking for an accessory that can keep up with their routines, offers motivation throughout the day and supports their fitness goals and overall wellbeing," said Marco Suvilaakso, global product director of Polar. 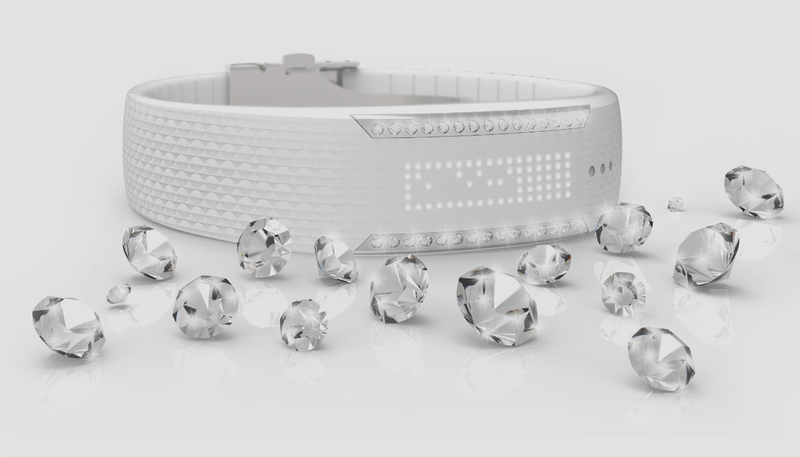 Polar isn't the first company to decorate its wearables with Swarovski crystals to appeal to women. Misfit collaborated with the jewellery giant for the Swarovski Shine and Samsung also studded its gigantic Gear S smartwatch with stones as well. It's certainly not going to suit everyone's tastes but clearly there are some women out there who like a little bling on their bands. For those that do, the Polar Loop Crystal can be bought for $159.90.